While checking out some high-end cars one day, a couple of guys met and became friends. Their idea for a mobile app eventually became reality, and today it’s a quickly-growing success. While their story had some unexpected detours, they found their way and are on the road to great things. 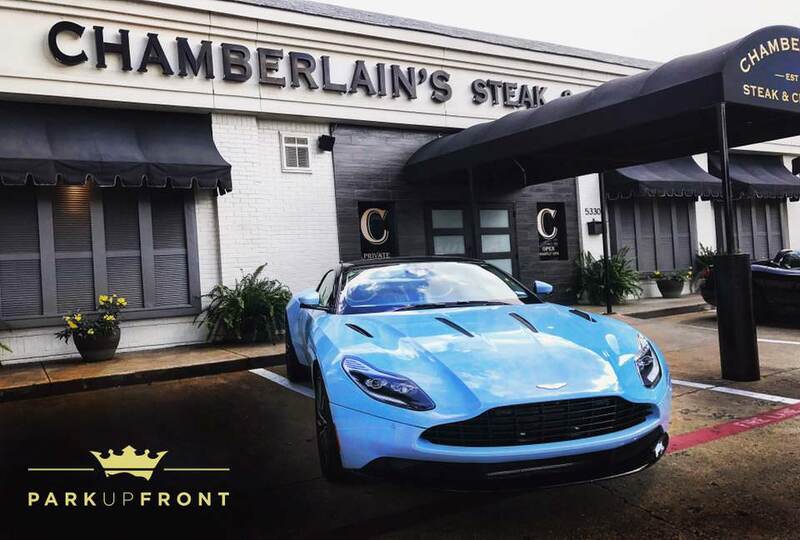 The regular “Cars and Coffee” event in Dallas is a great place for high-end car owners and fans to see some of the most beautiful automobiles in the world. Stephen Levin and Maximilian Von Brand would see each other there occasionally, viewing the Lamborghini section. 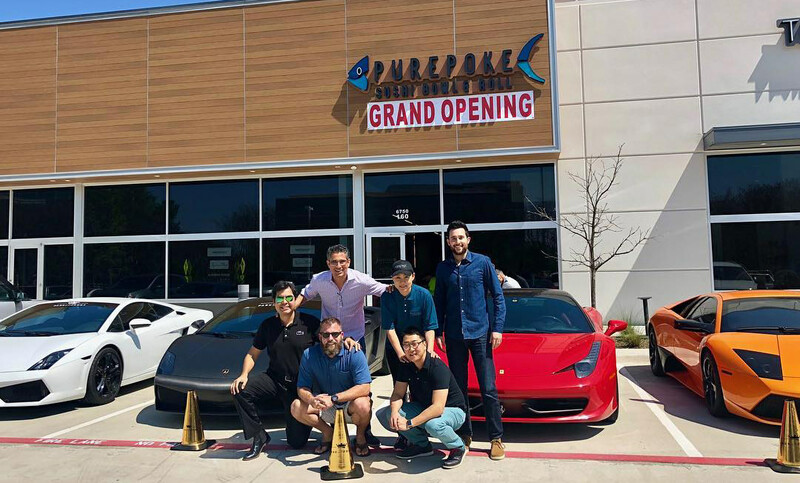 The two men got to talking, and decided to start a Dallas chapter of the Lamborghini Club with Lamborghini owners. Fully immersing themselves in the car community, Stephen and Max got to know many high-end car owners, and noticed something they all had in common — parking issues. Stephen was inspired and had an idea for an app — one that would allow high-end car owners to reserve spots for their vehicles up front at participating restaurants and venues. It would give them peace of mind that their cars were being looked after by the valet service, and even allow them the option to park their cars themselves. He shared this idea with Max, asking if he wanted to partner up and turn this idea into reality. Max said yes, and ParkUpFront was born. Neither Stephen or Max had a tech background, or had ever tried to develop an app. So the first steps were to find a developer (which can be hard to find, since they’re in such demand) and bring on qualified people to fill out the team. After a lot of research via the internet, podcasts, books, and their network of friends, they began connecting with the startup community. They were pleased to discover that many startup veterans are happy to help each other, because they know the challenges firsthand and enjoy sharing their lessons and best practices. Stephen and Max were able to build a solid team that brought a variety of skills, experience and unique perspectives. ParkUpFront still needed a developer — but their engine was running. They started sketching out ideas for the ParkUpFront user interface, while avowed “Do It Yourself”-er Max tried his hand at writing code — but soon realized that they needed to bring in the pros. Stephen searched for “top app development companies in Dallas” and found Code Authority (among four others that he liked). After meeting with their five favorites, the partners agreed that they got the best feeling from Code Authority. Because building an app can be very expensive, they had asked each developer if they would consider doing a part-equity build. Unfortunately, most development companies rarely take on those kinds of projects. But Code Authority told them about their annual CodeLaunch competition, in which the top idea receives the possible opportunity of an equity build. Max and Stephen figured that even if they didn’t win, it would be helpful for them to go through the process and connect with other entrepreneurs in the same situation. At the 2016 CodeLaunch event a few months later, the ParkUpFront team found themselves in the Winner’s Circle — taking home first place, and the fuel they needed to keep going down the road. 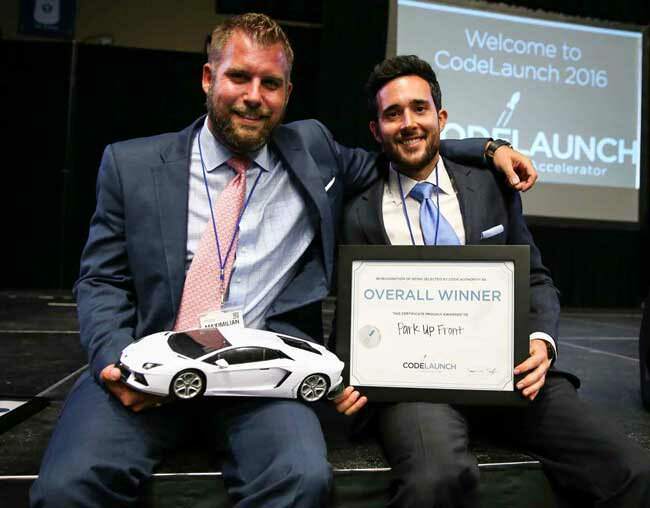 Winning the CodeLaunch competition was just the beginning for Stephen and Max. While the original ParkUpFront app concept enabled owners of high-end cars to reserve spots in front of venues — which benefited both parties — they discovered through user testing that owners of these exotic cars had more interest in booking local events. This has enabled ParkUpFront to grow at an exponential rate. Today, the application is marketable in all areas, and they don’t have to wait for venues to sign contracts for the user to have access to the reservation system. The ParkUpFront team saw a gap, listened to their users, and adapted to fill that gap. Set Your GPS for CodeLaunch 2018!